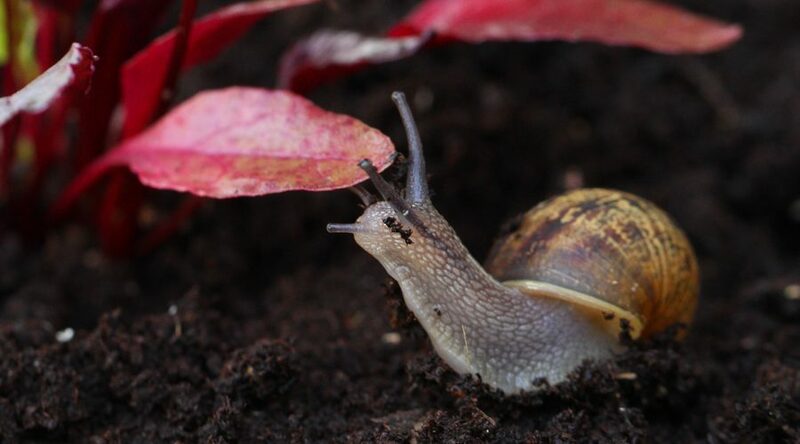 This month we’re focussing on slugs and snails, as we are coming up to planting time. Plants are at their most vulnerable to slugs when they are young so it’s important to protect newly planted veg as much as you can. There are a few things you can do (without resorting to chemical slug pellets) that will really make a big difference, and it’s a simple case of using a combination of different tactics. Firstly, make sure your plot is as free of slug-friendly hiding places as possible. That means removing any big stones, fallen branches, empty pots etc etc. 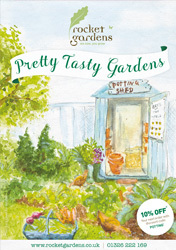 This is the number one mission – to make you veg patch less hospitable to unwanted guests! Next, when you plant your veggies, we’d recommend putting down some slug traps. Our slug busters are brilliant, or you can make your own by sinking an old cup/ramekin into the earth. Fill your slug trap with cheap lager, or a lettuce and salt water mixture. The slugs won’t be able to resist a sneaky aperitif before visiting your veg, but they’ll soon learn the error of their ways and will never make it as far as your salad patch. The other trap to use is hollowed out citrus shells – slugs and snails will use it as shelter and so you can easily wait for them to gather under the peel and then do a regular removal! For the particularly vulnerable plants, like lettuces, brassicas and corn, a barrier of something gritty around the base of the plants is a good technique. A lot of people break up cleaned, dried eggshells and sprinkle them around the base. We prefer to use something a bit chunkier though like our Slug Deterrent. You could also investigate using Nematodes (google them/find it on amazon) but, in our experience this is not always a very foolproof solution, as you are relying on getting the right concentration to the right area of soil on a day when the soil is at the right temperature and moisture level. But that’s just our opinion and we know many of our Rocket Gardeners swear by them.